Out of the mind battles that I have fought, the hardest and most persistent that I face daily is the struggle for consistency. Whenever I feel that I am beginning to be persistent or driving closer to a goal I always face the question, “Am I walking the talk?” After all, nobody likes it when a person talks this and that and impresses you with their words only to fall flat from the idea of consistency in the real world, right? Many times I face the challenge of whether or not I should stick to a new idea or goal I set in mind. My biggest struggle is being decisive, partly because I hold such a strong interest in so many different areas of education. I like to remain open-minded, and I also understand that many other people like to be open-minded as well. I should note that this can be just as much of a strength as a weakness. I understand that in order to prevent getting stuck in a stand-still I need to continually improve and takes strides forward. As my father once told me, “You cannot be good at everything, but as long as you’re good at something, that is what matters.” Although I try my best to understand my fathers words of advice I still struggle with consistency and getting stuck in what I would call “mind-traps”. My love for learning and many career paths make it hard for me to be a decisive person. Also if I may add, my family background and careful financial ways make deciding on a future pathway a very eager and nerve-wracking experience. As the saying goes, “Don’t talk the talk, if you can’t walk the walk”. I like this quote a lot because it basically symbolizes hypocrites or people who say that they are going to do something, only to turn away or fall short of their word. We all should know what hypocrisy is, and that it is inevitably something we all face to a certain degree. However I must say it is important to realize, that times often change, and certain changes can affect the outcome of your future decision-making. I know it is important to make smart choices and that it is important to be aware of my environment, both politically and socially. Their are always occurrences that arise that can make someone or break someone and I know being a victim is never a good thing. I do know it is important to walk forward with any momentum, but bouncing around with many ideas in your head is difficult, especially if you want to accomplish the things you originally set out for yourself. In order to flow efficiently throughout my daily life I find it important to be conscientious of my habits and my world around me. Following trends of the modern day and participating in stimuli during an information age can have one feeling dazed and confused at times. Finding a way to function at a proper or consistent level is not always what society formulates for you. I am beginning to realize that the best path may have to be paved by my own mind and resistance. In order for me to be fluidly creative and financially fit for example, it may be a tough challenge at first, but my vision has to be fully aligned. To be fully aligned, certain areas of my life need proper balance. I know that when I am out of whack in certain chakras, or energy centers it may cause me to fall out of consistency, but the same laws apply for everyone. In order to remain a driven individual with an intent to help others, I have to balance my scale of interests. I realize I need to seek guidance from those with more greater experience. Life is a struggle but it’s about how you deal the cards your dealt with. Being consistent often requires you to conquer time management. It also can be defined through achieving goals you set in mind for yourself. One thing I have realized, is that consistency can often battle my tendency to think, understand, investigate, and innovate my way towards solutions. Without fluid synchronicity and even-mannered thoughts it’s always tough to remain persistently consistent. No matter what adversities we all face, we can all learn new ways to incorporate consistency through the act of adaptation. 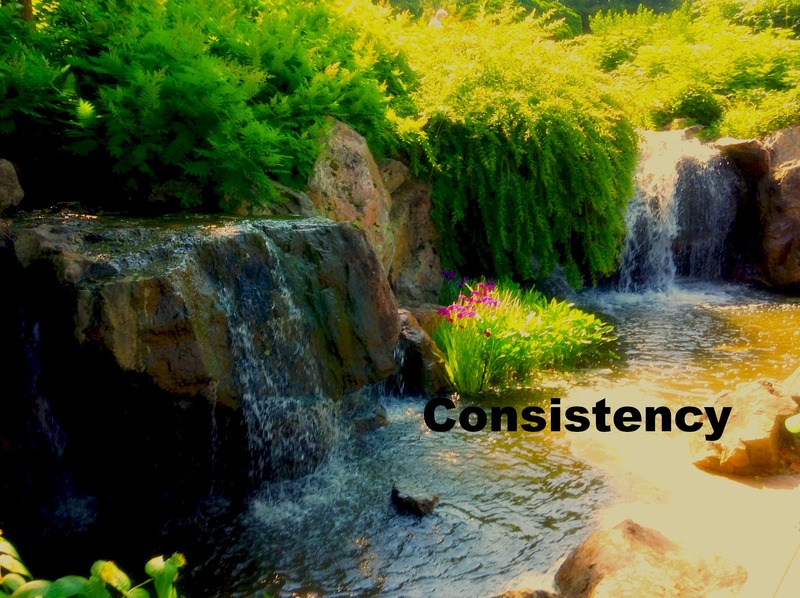 To remain consistent is best when you do not overwhelm yourself. It is often easy to forget how much time we have to fulfill our desires and often times it can result in chores and certain tasks being forgotten or delayed. I am confident that any person can blaze their way to success, but it’s crucial to remain calm despite stressful factors. Life can always get hectic, but it’s about how you carry the burden and how you walk away with more experience and expertise. What you ultimately take away from each given day, often teaches you more than you would ever think. Positive psychology is a developing thought pattern that can lead to a successful life, but it is always better if you can be consistent with the way you live life!